One of the nicest features of WordPress is that it allows you to schedule a post and publish it in a future date and time. In other words, when you finish a post you have the option of saving it in draft mode and publishing it manually later, publishing it immediately or scheduling it for publication by selecting a future date and time. Why you may want to schedule a post? You can schedule a post to go live when your users are online. This is very useful for those that target the US audience but live outside the US and on a different time zone. Scheduling can help you follow your publishing plan even when you are on annual leave or away from the office. It can save you time – you can write the posts of the week on Monday and schedule them to go live during the week. This will save you a lot of time to do other things without worrying about publishing blog posts. The procedure is very simple and does not require the use of any plugin or other tool. 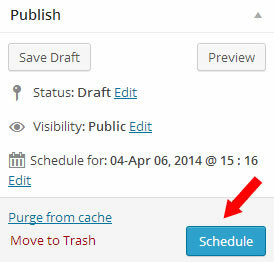 Scheduling a post is a built-in feature of WordPress. Step 2: When you are ready to schedule the post, look at the top right corner for the “Publish” options. 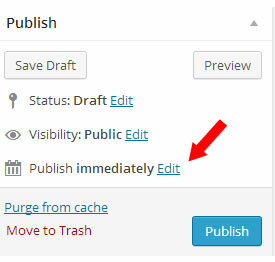 As you can see from the image below, the default option is “Publish immediately” so before clicking the Publish button, click the edit button. 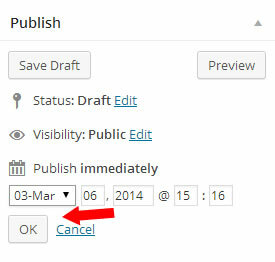 Step 3: Select the date/time you want to publish your post (month, day, year, hours and minutes). Note that the time wordpress is using is the one defined under Settings / General / Timezone so if the displayed time is different than the current time then go and fix your time zone first and then come back to schedule your posts. When you are happy about the date/time click the OK button. You will notice that instead of writing “Publish immediately”, it now gives you more information about the date/time the post is scheduled for publication. If everything is ok click the SCHEDULE button. That’s it your post is now scheduled! How do you update a scheduled post? You can update the post as usual i.e make the changes and click the Update button. How do you change the scheduled date/time? If you want to change the date/time the post is scheduled for publication click the Edit button again, make the changes you want, click OK and then Update. How to you cancel a scheduled post? To cancel the publication of a scheduled post click the Edit button next to “Status: Scheduled”. Select Draft from the list and click OK and then make sure that you click the Update button again. If everything is ok the status is back to “Draft”. What if the scheduling does not work? There are cases that the scheduling function does not work, this is very rare and depends on file permissions and server settings but it can happen. If this is the case then you can bypass the problem by installing a plugin like wp missed schedule. 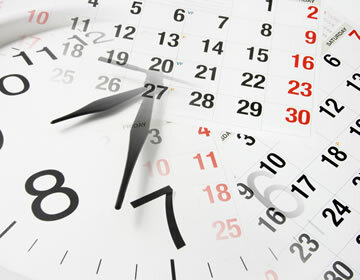 Finally, it should also be noted that the scheduling feature is available for both WordPress posts and wordpress pages.